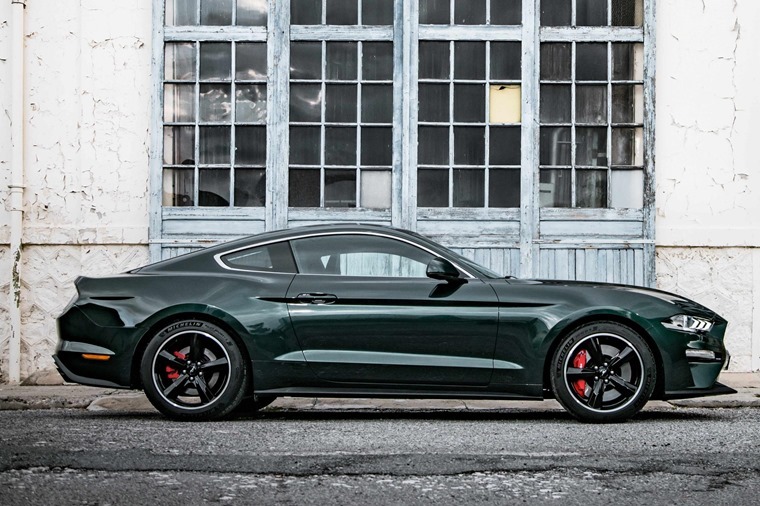 Hearts were aflutter at the Detroit Motor Show earlier this year when Ford revealed it would be releasing a special edition of the Mustang to celebrate the 50th anniversary of Bullitt, starring Steve McQueen. One of the most iconic car chases in movie history and offering a sense of realism some ADD sufferers might refer to as ‘boring’ in light of Vin Diesel jumping a very rare and expensive $3.4 million supercar from one Abu Dhabi skyscraper into another in Fast 7, the iconic 10 minute sequence from Bullitt follows Steve McQueen at the wheel of a 1968 Mustang GT fastback as he chases two hitmen through the streets of San Francisco. 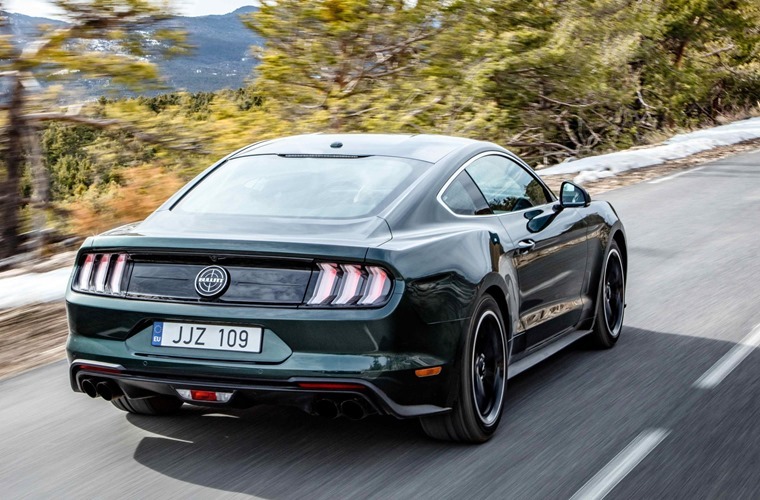 Well, now you can recreate that around Reading or the hilly roads of Harlech and give it a uniquely British flavour with the news that the new Mustang Bullitt will go into production for European customers in June. Available in Shadow Black or classic Dark Highland Green, Mustang Bullitt is powered by Ford’s 5.0-litre V8 engine enhanced with an Open Air Induction System and intake manifold, as well as 87mm throttle bodies and powertrain control module calibration from the Shelby Mustang GT350 to deliver an anticipated 464 PS and 529 Nm of torque. 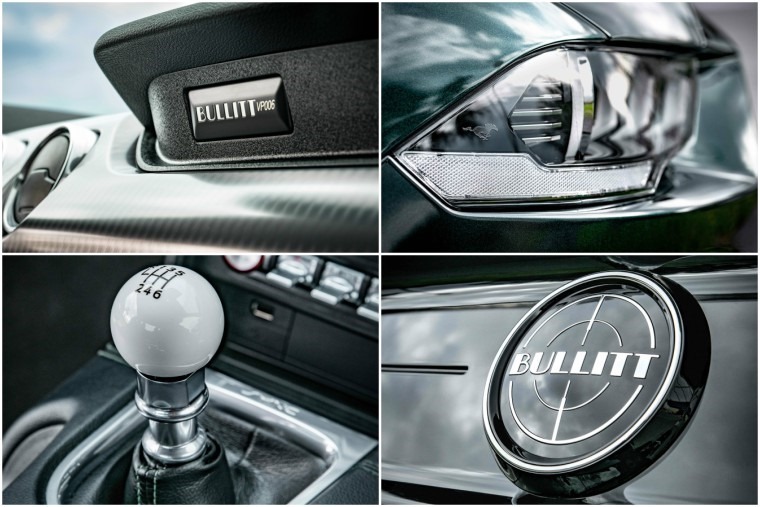 The Mustang Bullitt will also feature a six-speed manual transmission equipped with Ford’s new rev-matching technology which delivers smoother downshifts accompanied by a “blip” of the powerful 5.0-litre V8 engine – matching the engine rotation speed to that of the gear that is being selected for smooth, seamless gear-changes. 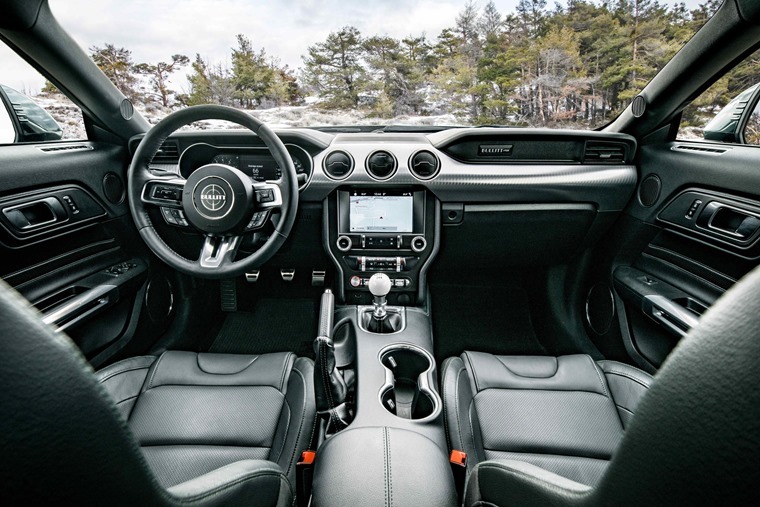 The interior will deliver Ford’s 12in all-digital LCD instrument cluster and will offer Recaro sports seats, while interior seat, centre console and instrument panel-stitching will reflect the exterior colour choice. As a nod to the original car interior, the gear shifter features a white cue ball gearshift knob. 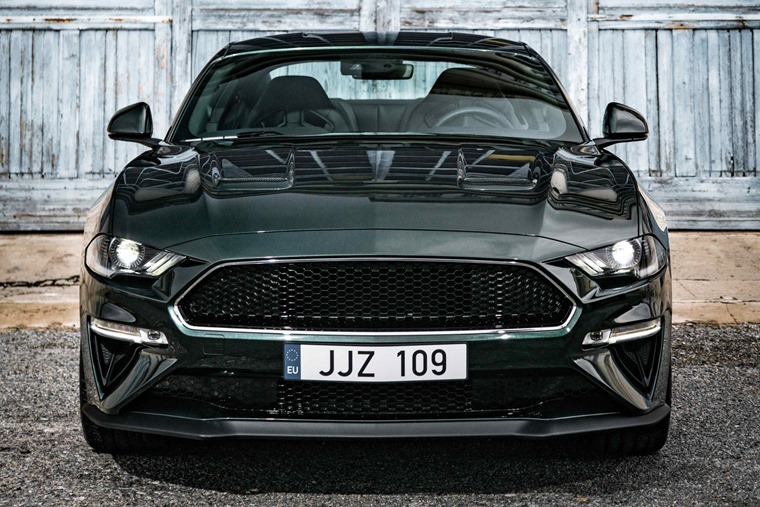 Each Mustang Bullitt will feature an individually numbered plaque in place of the traditional Mustang emblem on the passenger-side dashboard. 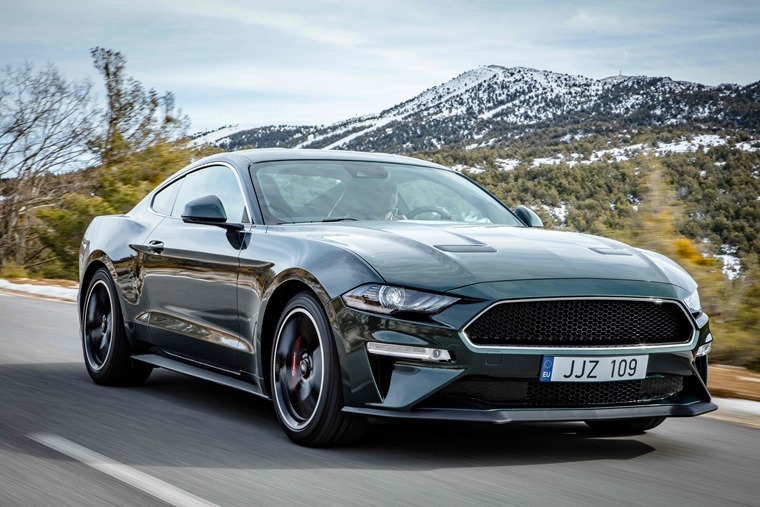 “Nothing captured the spirit and excitement of Mustang quite like that amazing car chase in Bullitt,” said Steven Armstrong, group vice president and president, Europe Middle East and Africa, Ford Motor Company. Deliveries of the new Ford Mustang for customers in Europe will begin later this year, with prices TBC.